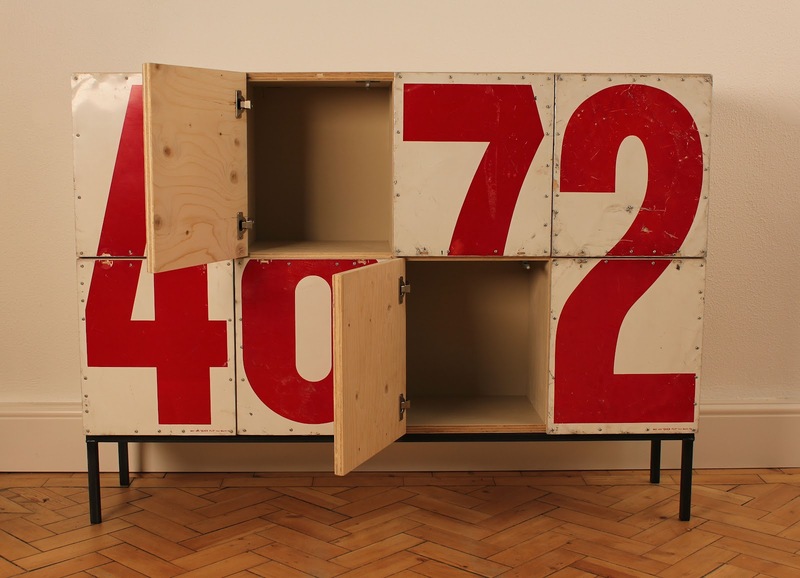 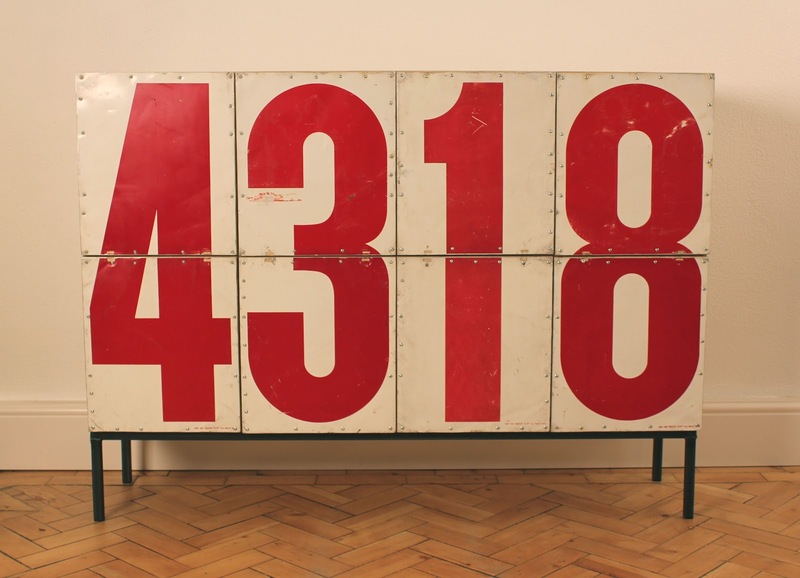 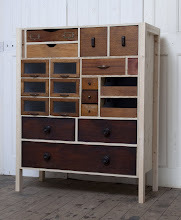 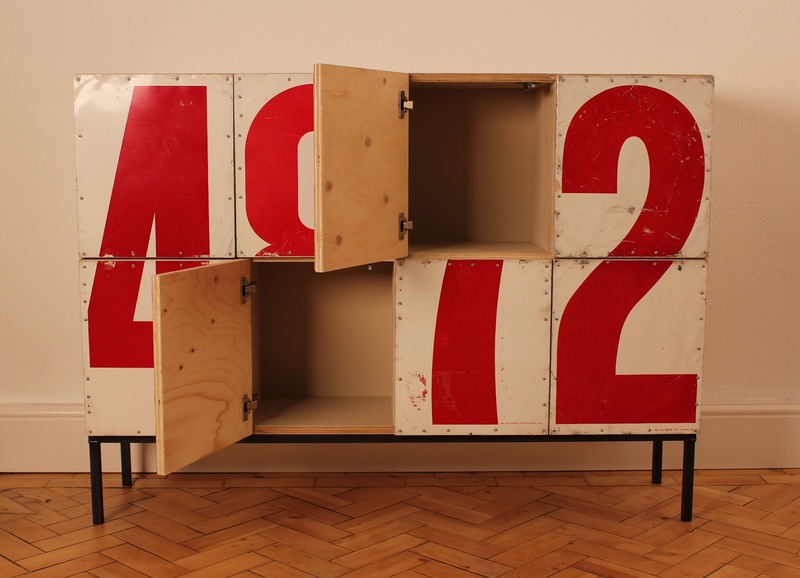 These two pieces (ESC025 / ESC024) sideboard/locker units are made with plywood, steel and vintage gas station numbers. 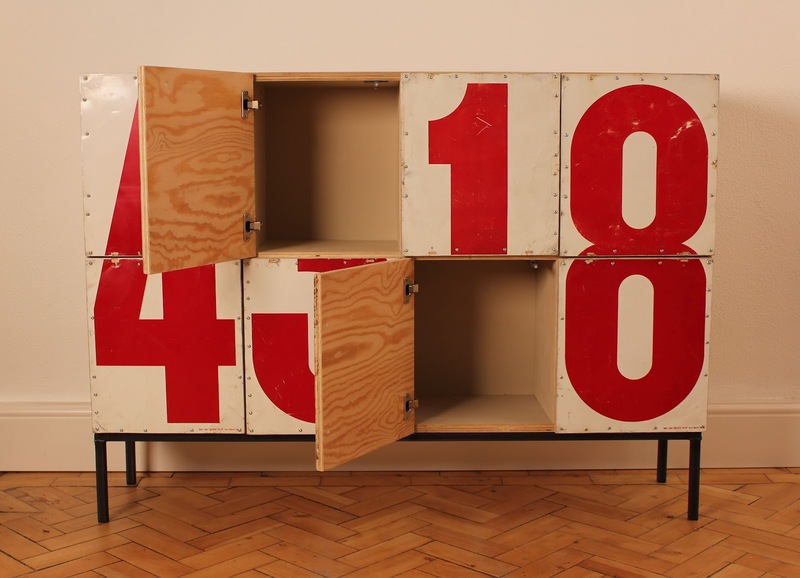 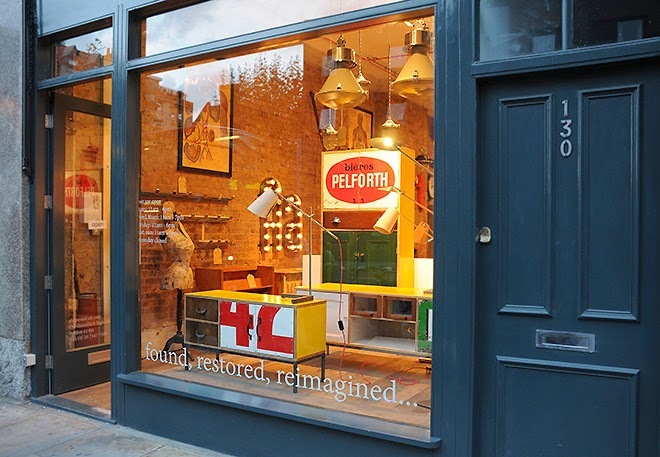 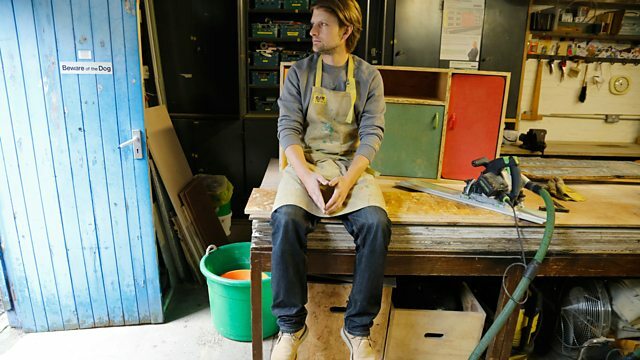 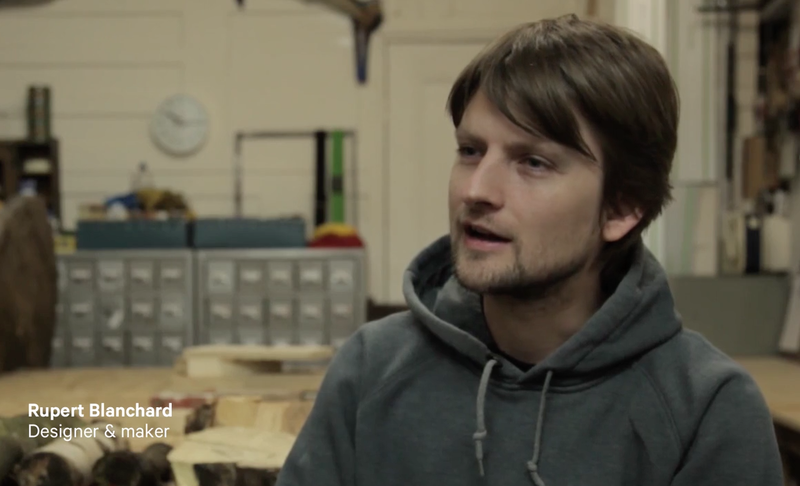 The salvaged plywood was reclaimed from a building site in London where it was used as hoarding for years. It has been refinished and waxed and sits on a lacquered raw steel box section base. 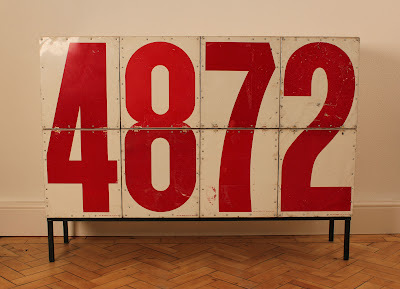 The doors are made from sections of vintage American gas station number signs. The doors are fitted with push-catches rather than handles. 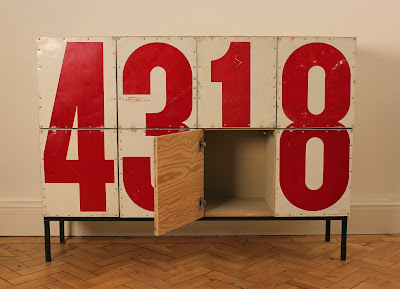 Both cabinets are built to the same size but carry different numbers.